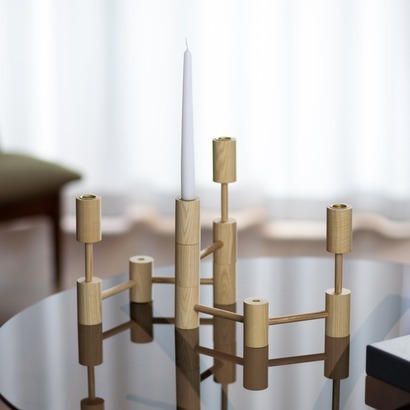 MNA is a modular candleholder whose playful shapes are inspired by the molecular models of childhood days. 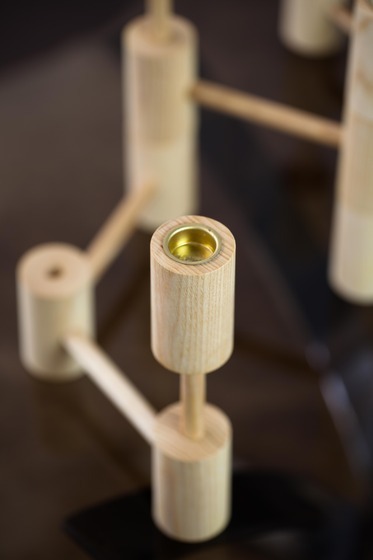 Each element is made from solid ash wood and varnished with natural oils to protect its surface and give it a smooth feel. 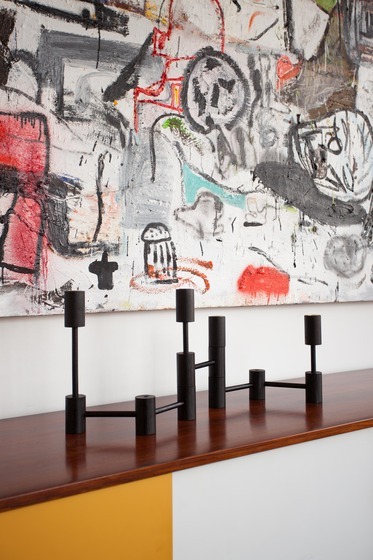 Its sumptuous black color is the result of natural, food-safe dyes. 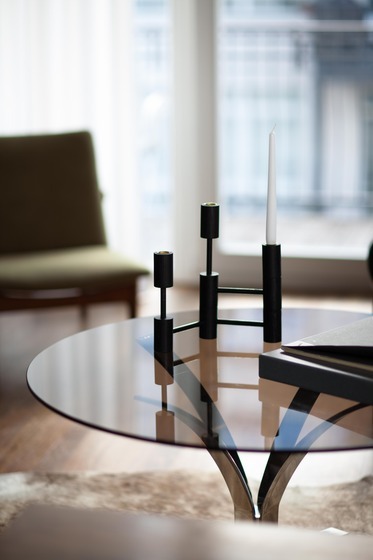 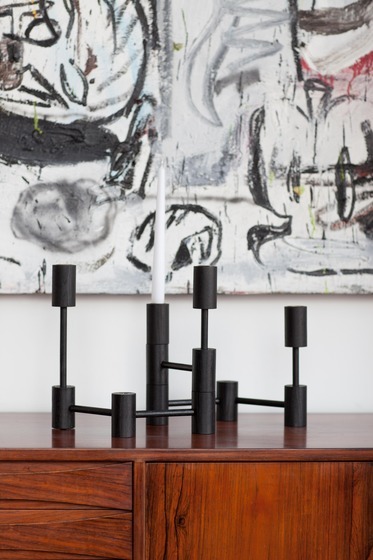 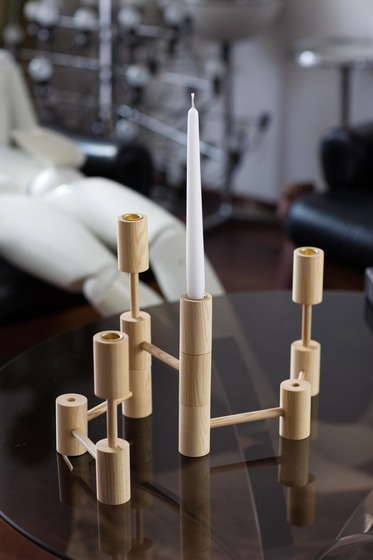 Based on a simple stick-and-stack mechanism, the candleholders can be connected into an endless variety of eye-catching constellations.